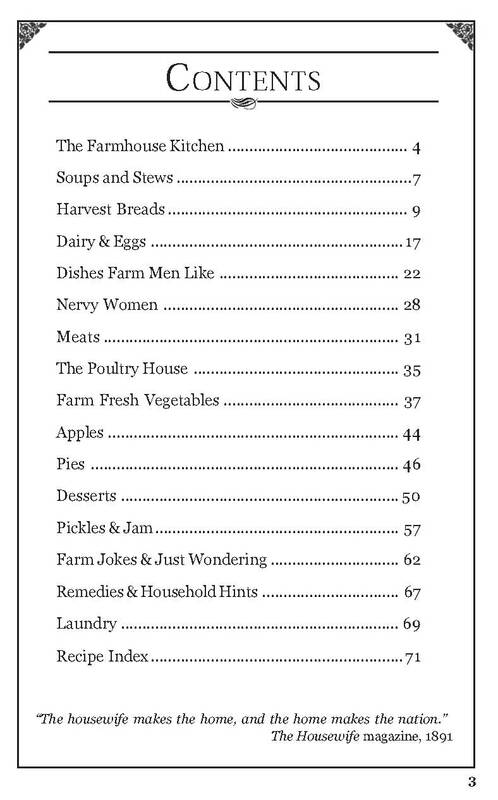 Old-Time Farmhouse Cooking is now available as a e-book that you can download right now! Click here. Climb down off your tractor and dig into some old-fashioned, farm-fresh comfort food! We’ve got cranberry beef stew simmering on the old wood cookstove and some sweet corn just pulled off the stalks. Try a dab of this farm-churned golden butter on the orange rye bread still warm from the oven. 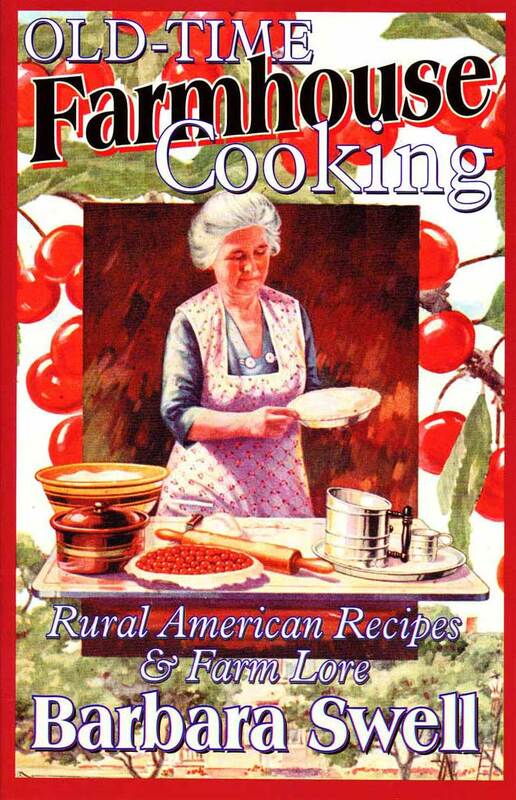 Whether you’re a born farmer, or a country-minded city person, you’ll enjoy these creative rural American recipes from a time when the food was wholesome and life was full of fresh air and sunshine. 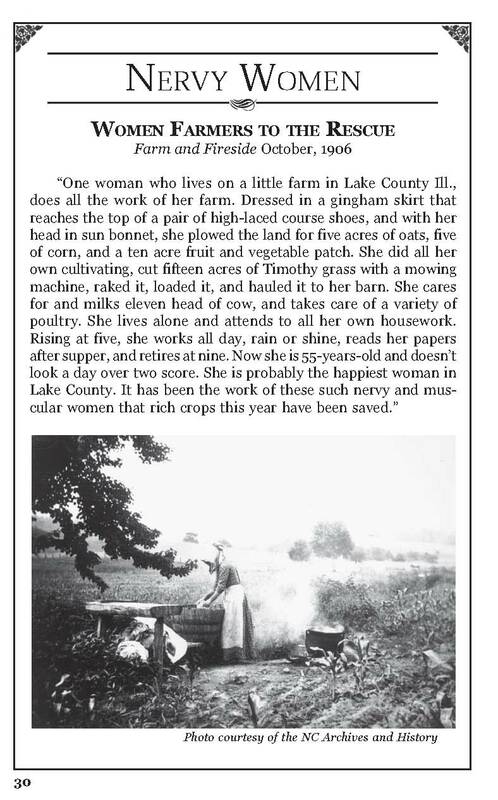 These recipes, stores, jokes, advice, farm lore, and illustrations were collected from a wide variety of American agricultural sources from the 1880s to the 1950s. 5 ½ x 8 ½, 72 pages. 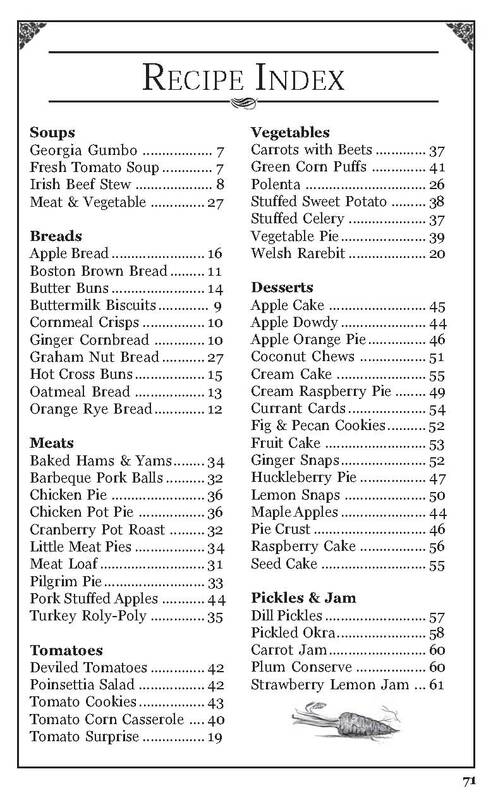 RECIPES INCLUDE: Soups: Georgia Gumbo, Fresh Tomato Soup, Irish Beef Stew, Meat & Vegetable, Breads: Apple Bread, Boston Brown Bread, Butter Buns, Buttermilk Biscuits, Cornmeal Crisps, Ginger Cornbread, Graham Nut Bread, Hot Cross Buns, Oatmeal Bread, Orange Rye Bread, Meats: Baked Hams & Yams, Barbeque Pork Balls, Chicken Pie , Chicken Pot Pie, Cranberry Pot Roast, Little Meat Pies, Meat Loaf, Pilgrim Pie, Pork Stuffed Apples, Turkey Roly-Poly, Tomatoes: Deviled Tomatoes, Poinsettia Salad, Tomato Cookies, Tomato Corn Casserole, Tomato Surprise, Vegetables: Carrots with Beets, Green Corn Puffs, Polenta, Stuffed Sweet Potato, Stuffed Celery, Vegetable Pie, Welsh Rarebit, Desserts: Apple Cake, Apple Dowdy, Apple Orange Pie, Coconut Chews, Cream Cake, Cream Raspberry Pie, Currant Cards, Fig & Pecan Cookies, Fruit Cake, Ginger Snaps, Huckleberry Pie, Lemon Snaps, Maple Apples, Pie Crust, Raspberry Cake, Seed Cake, Pickles & Jam: Dill Pickles, Pickled Okra, Carrot Jam, Plum Conserve. 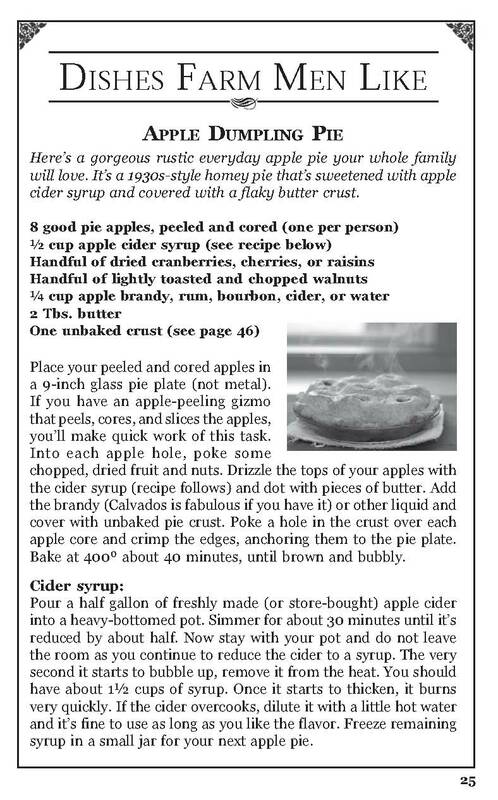 If you like reading cookbooks, this one takes the cake! 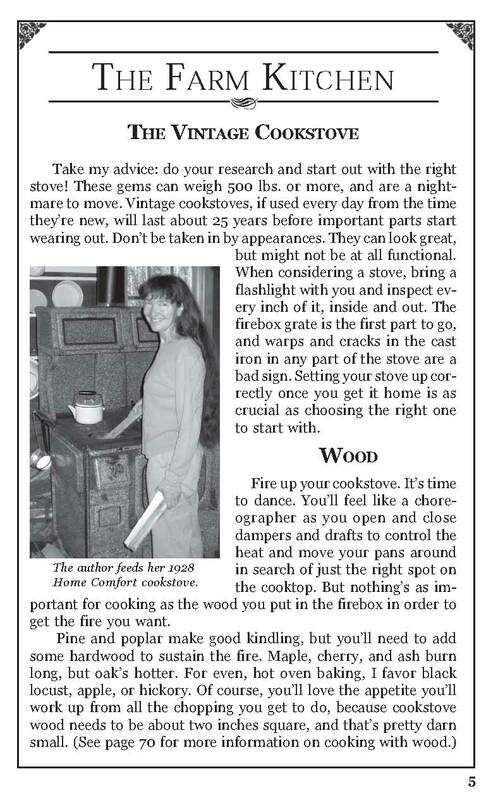 I recently bought Old-Time Farmhouse Cooking and The Lost Art of Pie-Making. What fun your books are! And the recipes are delicious. Thank you. 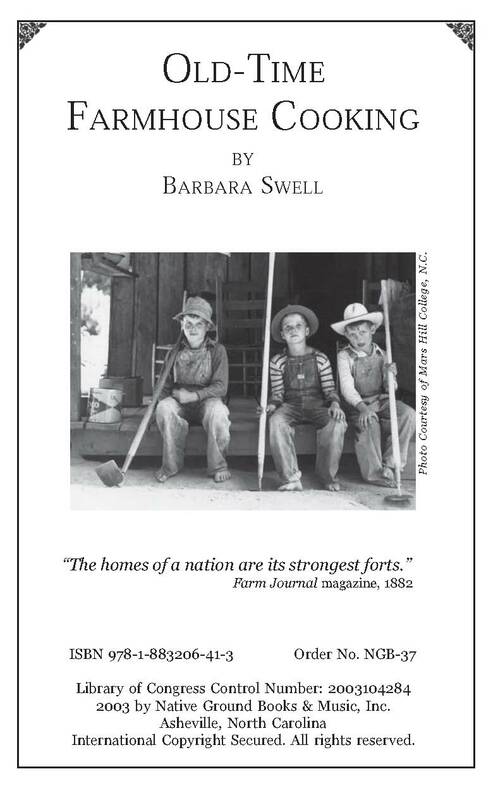 Lovingly compiled by historic cooking expert Barbara Swell, Old-Time Farmhouse Cooking is a superbly presented collection of authentic recipes with generational appeal and old-time flavor. Barbara Swell has the neatest cookbooks. They make such great gifts.